Bruno Moreira prefers to play with his right foot, as do 62% of his teammates. 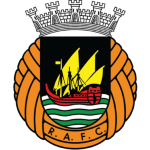 At present, Rio Ave FC is in fourth place in League Cup (Portugal) (group Gr. 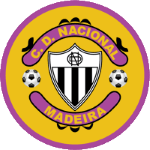 A), while in Primeira Liga (Portugal) they are in ninth place. Portuguese forward Bruno Moreira, who is currently under contract to Rio Ave FC in Portugal, joined the club July 1, 2018. He was used in 26 of the matches in the present term. Having been born in 1987, on September 06, his age of 31 makes him senior to the average player of Rio Ave FC. With a height of 1.85m, Bruno Moreira exceeds Rio Ave FC's mean tallness by 3. In his footballer career, a total of 21 cards were ascribed to Bruno Moreira. While thus obtaining an average of 1.31 cards per term, he has not even gotten any yet, for now. Altogether, he was substituted in 69 and out 54 times. Currently, he entered the pit more than he left it which holds true for last season as well. Sadly, he scored one own goal in his career. This happened with FC Pacos Ferreira in Primeira Liga 15/16 (Portugal). Bruno Moreira weighs 79kg which is 4kg more than his team's average heftiness. He played 197 matches in total and hindermost appeared 13 days ago. On average, he has participated in 12.3 matches per season. 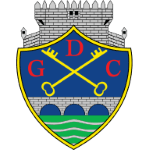 His shortest spell with a club was five months in GD Chaves (Portugal). 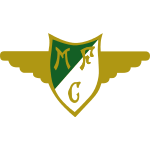 Besides Bruno Moreira, there are eleven more forwards in Rio Ave FC's lot: Carlos Carvalho, Ahmed Said, Murilo Freitas, Wenderson Galeno, Jose Postiga, Andre Ricardo Ferreira Schutte, Ronan Jeronimo, Nuno Santos, Gelson Dala, Gabrielzinho and Andre Silva. He impressed in Primeira Liga 17/18 (Portugal), reaching his personal record of assists as well as match appearances. 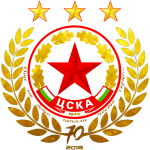 In terms of winning, his team was able to do so in none of League Cup's and in only 20% of Primeira Liga's matches. This season Bruno Moreira scored five and assisted two goals which is 13.9% of all of Rio Ave FC's goals in Primeira Liga 18/19 (Portugal). On average, he initialized 0.08 and hit the net 0.19 times per match this season which is a better performance than last year's. Back then 0.12 goals and 0.09 assists per match have been achieved. 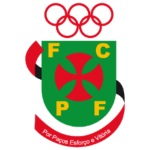 He played for Varzim SC, CSKA Sofia, CD Nacional, GD Chaves, Gd Joane and FC Pacos Ferreira before ending up in Rio Ave FC. He received the number 9 tricot at Rio Ave FC. 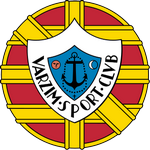 Bruno Moreira's longest stay in a team counts three years and 5 months in Varzim SC (Portugal).